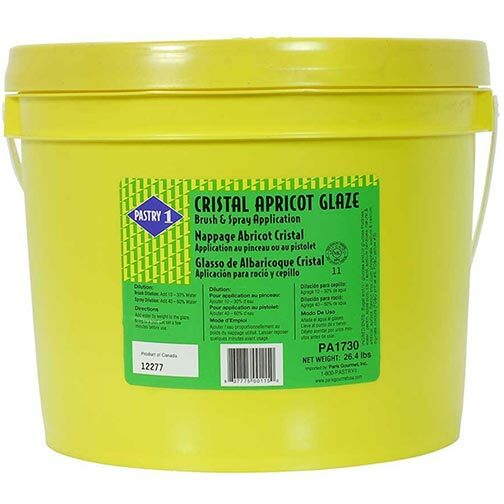 Pastry 1 Apricot Glaze will add an elegant lightly colored amber sheen & light apricot flavor to all your pastry creations! This thin, sweet, tart liquid coating serves as a protective layer over your fruits and prevents them from drying out. We’ve been carrying this same formula for over 20 years and stand strong behind its quality and consistency.